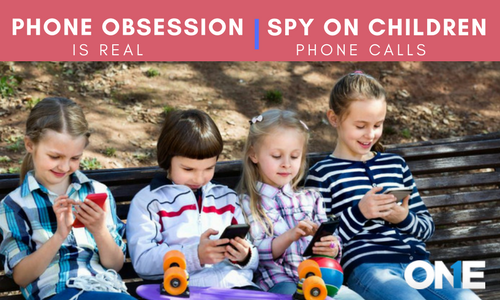 Monitoring in today’s day and age is something which parents and employers alike engage in. this is because parents constantly worry for the safety of their children and wish to know where they are, who they talk and how they spend their time on their phone and online. Similarly, employers wish to know whether or not the staff they have employed is working to the best of their ability, are efficiently and are doing the work expected of them. Parents and employers both have concerns which are very real and which should not be thought of as irrational. For this purpose, a monitoring software such as TheOneSpy can be made use of. This software is one which can be used for recording calls, recording the surroundings or where the phone and its user is, who the user is communicating with, the type of websites being visited and the location he/she may be at to name a few. Recording calls are something which can be extremely beneficial to both parents and employers, which is why this software is great for their use. TheOneSpy offers its users their very own user control panel (Control Panel live demo) which can be accessed from anywhere as this is where all the data is recorded and stored to be viewed and listened to later. Assuming the targeted device has TOS monitoring app installed on it and an incoming call is received by the user of the phone, TheOneSpy will automatically begin to work and will record the calls. The call will be recorded and stored in your control panel which you can then listen to later. In no way will this recording not be available to you simply because you weren’t there in real time to listen to it. The same applies for any outgoing calls as well; these too can be listened to as and when you have the chance. 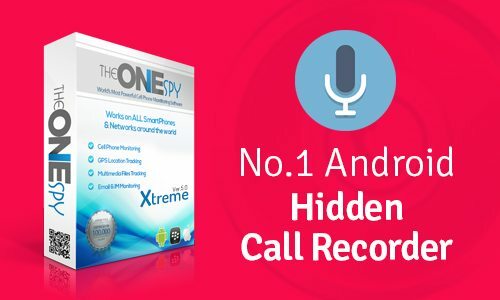 What’s best about TheOneSpy is that not only does it record the calls but it also provides the user of the software with details about the call. This includes the number which was contacted or the number from which the call was received, how long the call lasted as well as how many times this number has been in contact with the targeted user’s phone. In this manner, the user of the software can keep track of the kind of communication which takes place with this number and the parent and employer alike can take the desired action which they believe needs to be taken if there is something suspicious regarding the communication being listened to. Parents and employers both need such a monitoring software because it is what can allow them to know exactly what is going on in the lives of their children and employees respectively. This can be done without any breach of trust and while maintaining the relationship which exists between the two parties. TheOneSpy does not only do record the calls but it also provides the user of the software with details about the calls includes send and receive numbers.